Celestial Mountain: 1 bed / 1 bath. Sleeps 4. 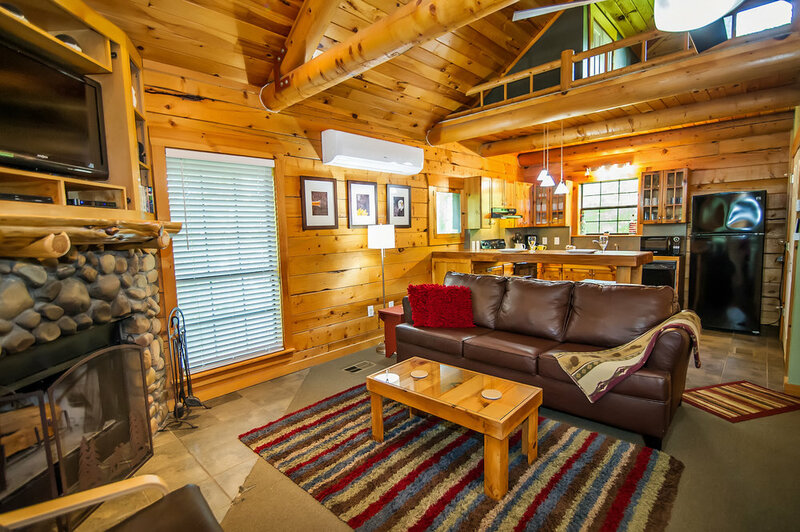 Privacy, Seclusion, Comfort – Celestial Mountain has it all. This little honeymooner is loaded with enough “ahhhhhhh” moments to make your vacation one to remember. 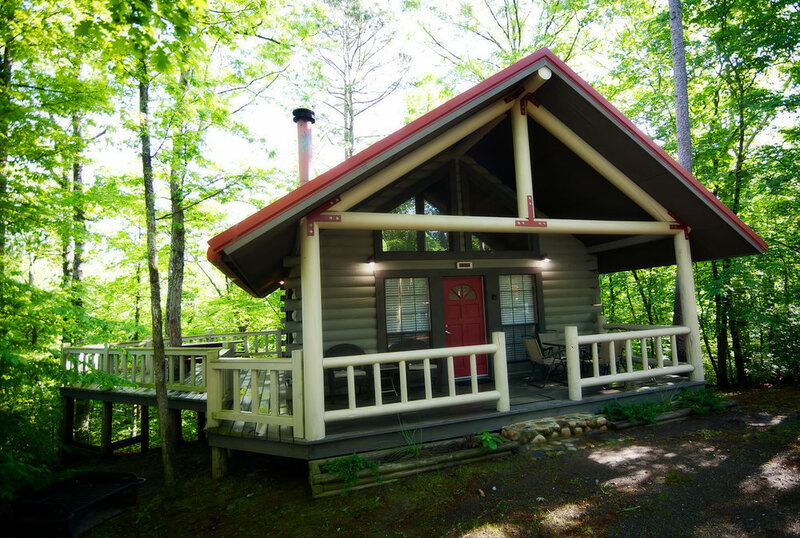 From the time you drive up the hill to the cabin until long after you have forced yourself to go back home, you will enjoy your time here. A wide open floor plan studio means you can lay in the king size bed watching the fire dance in the beautiful river rock fireplace all while watching movies on the large flat screen TV. The ready to cook kitchen is ready to make your time cooking as easy as possible, unless of course you decide to head a few minutes down the road to one of our great local restaurants. 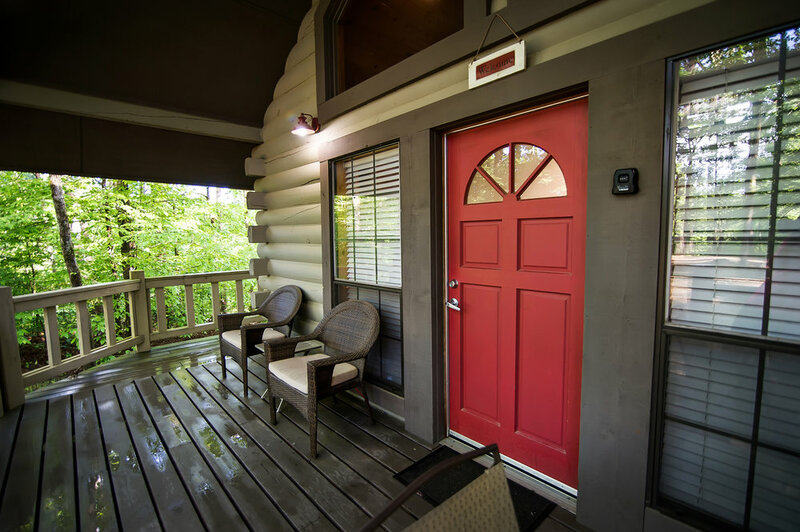 Since you came on vacation to relax –you may have a difficult time deciding whether to climb into the jetted tub after a long day on the lake or spending the evening on the deck listening to the little creek and watching the wildlife. Whether you are a couple looking for some precious time to reconnect or a small family looking for a base to explore from – you will fall in love with the Mountain. This cabin does have a circle drive, however, longer trailers or inexperienced trailer pullers, may have some trouble navigating the tight turns of this driveway. If you are not comfortable pulling a trailer into this cabin, you are welcome to leave it at our office. Space is limited and it is first come, first served.